Since 2004, India has refused relief aid from many countries including Russia, United States and Japan for devastating natural disasters across Uttarakhand (2013-floods) and Kashmir (2005-earthquake, and 2014-floods). In 2004, post the devastating tsunami which devastated vast swathes of the Tamil Nadu and Andaman & Nicobar coast, killing over 12,000, a policy was instated by the then UPA government that assistance from other countries’ governments would not be accepted. The context of that decision was India’s superpower dream. India had felt that this would strengthen its case for seeking to be a permanent member of the United Nations Security Council and also hasten the prospect of superpower status by 2020. The reasons stated were that the Indian government felt that India has the capacity to handle disasters. And secondly, accepting from any one government opens the floodgates for others as well, and it would be diplomatically difficult to refuse from some while accepting from others. Even in 2013, when the United States government offered their paltry and seemingly insulting assistance of $150,000 (Rs 90 lakh) for the flood victims in Uttarakhand, the then Finance Minister said it would instead reach out to multilateral aid agencies like the Asian Development Bank and World Bank for relief, instead of individual foreign governments. As a general policy in case of rescue and relief operations, India has followed the practice that it has adequate ability to respond to emergency requirements. However, this international disaster relief policy is only limited to foreign governments and not individuals and non-profits dealing in charity. The aid from NRIs in foreign countries or NGOs working in the disaster management sector would be accepted through the remittance route. The condition applies that the Union Home Ministry would consult the MEA and assess the requirements “that the foreign teams can provide”. The policy of not accepting foreign assistance has not taken India even one step towards fulfilling its ambitions. There is confusion about the Government Policy. Is it laid out in the NDMP document that has an opening message from Prime Minister? Or is it based on the decision of the UPA government to refuse aid or assistance in the wake of the 2004 tsunami — a decision born out of a sense of false pride and a misplaced sense of shame, that became a sort of convention thereafter. It is not only this mismatch between convention and written document that has created space for the current controversy. The old fear of the spies who would come with the package, interfere in the country’s internal affairs, and also take away valuable information. India does not want foreigners with huge UN salaries to come and destroy the morale of its relief workers. Irrespective of what was agreed upon in the past, democracies should be supple enough to respond to emergencies in ways that benefit the greater common good. It serves well no citizen of India for the government to stand on mere precedent or pride to turn down genuine offers of help, in terms of funds or expert teams or to even ask for help. There is no shame in taking help, just as there should be no hesitation in offering it. India has a longstanding tradition of rushing help elsewhere. India has proven its donor credentials in disaster-hit nations like Haiti ($5 million after the 2010 earthquake) and Pakistan ($25 million following the 2005 earthquake) in the recent past. It needs for technology and best practices can be obtained from the UN by careful planning and consultations. Offers of aid from foreign governments must naturally be scrutinised to see if they compromise national security and other interests. In the case of bilateral assistance, India needs to examine offers case by case. Refusing the assistance out rightly may have a negative impact on India’s relations with such countries. The debate on whether foreign assistance should be accepted for relief and reconstruction work is an unnecessary distraction for the Central and State governments at a time of a grave crisis. The need now is to use all assistance, Indian and foreign, to rebuild Kerala. The Centre-State politics, if any, must be kept aside. The government should not just gracefully accept the assistance for Kerala, it should junk the 2004 precedent. Taking aid from countries for disaster relief is no sign of weakness. Why is history such an important school subject? Why does it not receive the importance it deserves? were debated among the other things. The importance of History in shaping our political ethos is undiminished. By turning the past into a narrative, history creates a public ethos and influences culture. From architecture to film, and from ancient India to Partition, the Kolkata conference, organised by the History for Peace initiative of the Seagull Foundation for the Arts, covered a broad canvas to trace the complex relationship between history and culture. A brief answer to the second question is that history cannot compete with science subjects in the market that shapes and controls education today. Yet, history is an important subject because it moulds the outlook of the younger generation. Poorly functioning system of education places constraints on a society’s capacity to cope with its present difficulties and imagine sustainable solutions. Liked in most of the countries, the history syllabus and textbooks have been at the heart of a deep political controversy in India. For example: America’s discomfort with Hiroshima and Britain’s discomfort with Gandhi continue to be reflected in their school syllabi. The main reason why portrayal of the past in school textbooks arouses controversy is that a publicly shared past imparts a collective memory and identity. Textbooks are viewed as officially approved documents and are therefore believed to be associated with state power. They do shape the perceptions of the young because children are impressionable. Children introduced to a certain version of the past at school acquire a disposition which can be politically mobilised in the future. The new history textbooks brought out by the National Council of Educational Research and Training (NCERT) from 2006 onwards are a case in point. They have survived the change of government. One reason for their longevity is their professional quality. They have no single authors. Teams of eminent historians worked through deliberation and dialogue, first drafting a new syllabus and then the text itself. They represent the spirit of the National Curriculum Framework, 2005, which is still in place, which gives precedence to inquiry through direct exposure to evidence. The textbooks based on it do not narrate a long story. Instead, they enable children to explore different, often divergent, themes, such as lives of peasants and women, architectural styles, etc. Archival material is cited as evidence, and debates among historians are highlighted to demonstrate the difficulties of interpreting evidence. These books mark a major step forward in the teaching of history, but older ways of teaching and conventional textbooks have persisted. Despite a shift in historiography, old problems continue to affect the system. One of these is the perception that history is all about wars, kings and dates. Another is the constancy of dividing India’s past into three long chunks: ancient, medieval and modern. These categories flatten out the complexity and richness of India’s history, wasting the opportunity of studying it with the aim of arousing curiosity and imparting tools of inquiry. The examination system also reinforces flat perceptions by asking questions that are best answered with the help of guidebooks. The 2005 curricular revolution has made little impact on this wider scene. In most States, the use of history to build collective memory and identity continues. Assam-like situations suggest that education is not perceived as a means of resolving a problem. Schooling adds a dimension to culture that we do not quite understand. As public institutions, schools carry many burdens the society is not always aware of. Government schools cope with bureaucratic norms and private schools cope with parental pressure to maintain heightened competition. The natural sciences bear the brunt of this pressure. For the growing middle class, including the vast multitude of first-generation educated, science and mathematics represent the golden route to high income jobs in medicine and engineering, including information technology. The social sciences and humanities do not figure in this landscape, yet they also suffer the consequences of the command that the entrance test culture wields over schools. What makes history the most challenging school subject is that the Children depend on adults to learn about the past. Ironically, poorly taught history matters even more than well-taught history, simply because when history does not arouse curiosity or impart the tools of analysis, it creates an emotional barrier for further inquiry. What will these measures lead to? Denny was an inter-species love child. Her mother was a Neanderthal, but her father was Denisovan, a distinct species of primitive human that also roamed the Eurasian continent 50,000 years ago, scientists reported on Wednesday in the journal Nature. Nicknamed by Oxford University scientists, Denisova 11 — her official name — was at least 13 when she died, for reasons unknown. There was earlier evidence of interbreeding between different hominin, or early human, groups. But this is the first time that we have found a direct, first-generation offspring. 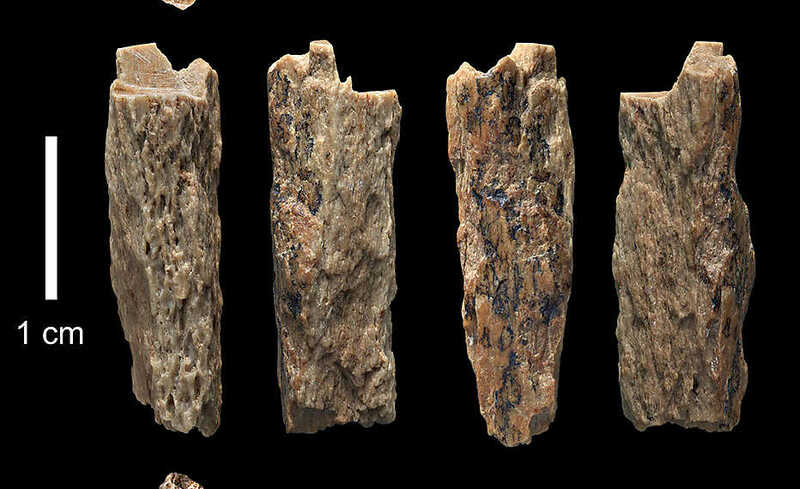 Denny’s surprising pedigree was unlocked from a bone fragment unearthed in 2012 by Russian archeologists at the Denisova Cave in the Altai Mountains of Siberia. Analysis of the bone’s DNA left no doubt: the chromosomes were a 50-50 mix of Neanderthal and Denisovan, two distinct species of early humans that split apart between 4,00,000 to 5,00,000 years ago. Worldwide, fewer than two dozen early human genomes from before 40,000 years ago — Neanderthal, Denisovan, Homo sapiens — have been sequenced, and the chances of stumbling on a half-and-half hybrid seemed vanishingly small. The very fact that we found this individual of mixed Neanderthal and Denisovan origins suggests that they interbred much more often than we thought. They must have quite commonly had kids together, otherwise we wouldn’t have been this lucky. A 40,000 year-old Homo sapiens with a Neanderthal ancestor a few generations back, recently found in Romania, also bolsters this notion. But the most compelling evidence that inter-species hanky-panky in Late Pleistocene Eurasia may not have been that rare lies in the genes of contemporary humans. About 2% of DNA in non-Africans across the globe today originate with Neanderthals, earlier studies have shown. Denisovan remnants are also widespread, though less evenly. We find traces of Denisovan DNA — less than 1% — everywhere in Asia and among native Americans. Aboriginal Australians and people in Papua New Guinea have about 5%.Taken together, these facts support a novel answer to the hotly debated question of why Neanderthals — which had successfully spread across parts of western and central Europe — disappeared some 40,000 years ago. How the law took shape? 6. Should Article 35A be scrapped? What powers does Article 35A give? Indian companies are investing more on securing their data rather than pumping money into technology as they try to build comprehensive solutions to prevent hackers from attacking their networks. IT budgets are shrinking and security budgets are going up. Security investments or budgets in India have doubled or even tripled. There are now security departments under a chief information officer, chief security officer or a risk officer, which are being allocated a lot of budgets. IT budgets are shrinking because it is mostly pay-as-you-go model now, and there is less capital expenditure required. Also, overall costs are coming down. Here, the device cost may come down, but the need for building an overall solution which has more components, and upgrading it with more features and functionalities, that is on the rise. Global spending on information security products and services will surpass $114 billion in 2018, an increase of 12.4% from last year, researcher Gartner said on August 15. In 2019, the market is forecast to grow 8.7% to $124 billion. Privacy concerns, persisting skills shortages and regulatory changes such as the EU’s Global Data Protection Regulation are the main drivers. A recent attack on Singapore Health Services (SingHealth) network compromised personal health records of 1.5 million patients in the island and reinforced the need to view sensitive data and IT systems as critical infrastructure. New York Stock Exchange-listed A10 Networks provides networking and security solutions and is based in San Jose, California. Today everybody has realised that PCs, servers, networks, applications have all become commoditised. One can go and pick any of it up, very easily. Now what all this generates is a huge amount of data. This data belongs to the enterprise. And the security of this data, in terms of who should access this data, where should it be accessed from, where should it be stored, all of this will always be the decision of the enterprise. So what will remain with the enterprise is two things — one is the storage of data, how to store the data, where to store it and in what form, and the second is how to keep this information secure. This data becomes information once it is processed, so how to secure this information in terms of security at rest and security while the data is in motion. So for both storage and security of data, the decision will be that of the enterprise and will always remain so. This will not go out of the enterprise. So, investments in these two areas will happen consistently. Citing the example of an Australian handbag maker, he said a customer could buy the bags only by invitation. But, the problem they faced is that the day a product releases on the market, China makes a copy of the same they wanted to know the leak point. For this, when they dug deep to find out how this was happening, they realised that it was happening from inside the organisation itself. Someone in the company was leaking the information via email. They ended up plugging the issue. This is a threat, and these kinds of issues could happen to anyone. In this case, their exclusivity of having an invitation-based purchase was lost when copies started mushrooming in the market. Kerala Chief Secretary Tom Jose filed a sworn affidavit in the Supreme Court detailing the trauma and scale of rescue and relief operations during the most devastating floods the State has seen in a century. The affidavit pays tribute to the overwhelming help received from unexpected quarters, including local fishermen of Kerala and the Odisha Fire Services. Jose said the floods surpassed the havoc caused by the 1924 floods and is now the most intense floods to have hit the State in the last 100 years. The Government of Kerala sought immediate assistance of the armed forces and deployment of the National Disaster Response Force (NDRF) from the Union government to address rescue and relief operations keeping in mind the colossal magnitude of the floods spanning 13 of the 14 districts in the State. The entire State machinery was galvanised to manage the disaster.774 villages of a total of 1,564 in the State were inundated. Kerala has a population of about 3.48 croore. More than 54 lakh, one-sixth of the population, was directly affected by this deluge. The Kerala government commended the effort made by the local fishermen in the rescue efforts arm-in-arm with the central forces deployed along a large contingent of State Police, Fire and Rescue Personnel and the of the State Disaster Response Force. The Kerala government on Thursday claimed in the Supreme Court that sudden releases of water from the Mullaperiyar dam was a cause for the floods in the State. In an affidavit, Kerala slammed Tamil Nadu for allegedly ignoring its repeated entreaties for controlled release of water from the reservoir to facilitate the evacuation of thousands living downstream. Kerala said communications from its Water Resources Secretary and the Chairman of the Supervisory Committee on Mullaperiyar dam to gradually release water “at least” at 139 feet evoked no “positive assurances” from the Tamil Nadu government. The request was made to facilitate the district administration and State Disaster Management Authority to get sufficient time to evacuate people so that they would not be hit by the flash floods in their sleep in the stealth of the night- Kerala Chief Secretary Tom Jose informed the Supreme Court. Instead, water from the Mullaperiyar reservoir was “suddenly discharged by opening all the 13 shutters to Idukki downstream. The sudden releases from the Mullaperiyar dam forced Kerala to release more water from the Idukki reservoir. This was one of the causes for the floods. The operational control of Mullaperiyar dam is with Tamil Nadu. The affidavit said the Kerala government, till the release of water from the 13 shutters, was letting out a major portion of the flood waters to the sea by implementing a strict operational control over the spill of the two largest reservoir systems of Idukki and Idamalayar in synchronisation with eight other small reservoir systems in the Periyar basin. Kerala urged the Supreme Court to ensure sufficient flexibility of operation of the Mullaperiyar gates during moderate to high floods. It is imperative that the reservoir should have enough manoeuvrability to avert loss of human lives in floods and other crisis in the future, the State submitted. The catchments of top seven large reservoirs that produce hydropower in India are likely to experience “substantial warming” leading to increased mean annual rainfall in near future (2020-2030), mid and end (2070-2099) of the century due to global warming. Based on modelling, a team of researchers from IIT Gandhinagar found the mean increase in rainfall in the catchments to be 6-11% while the mean annual air temperature is projected to rise more than 2.5 degree C by the end of century if the emissions are low. In the case of high emission scenario, the mean annual air temperature is projected to increase up to 6.25 degree C by the end of century, while rainfall in the catchments is likely to rise by 13-18%, the study published in Scientific Reports says. The impact assessment of climate warming on hydropower production was carried out at seven large reservoirs in India — Nathpa Jhakri, Bhakra Nangal, Srisailam, Nagarjuna Sagar, Hirakud, Sardar Sarovar, and Indira Sagar. Of the seven reservoirs, Nathpa Jhakri, Bhakra Nangal are located on Satluj River, and snowmelt is one major source of water, which is likely to change under the future climate. The other five are primarily located in the monsoon-dominated climate region in central-south India. If the projected increase in rainfall occurs predominantly in the form of extreme events it is likely to pose enormous challenge to reservoir operations. Almost all of the additional flow into the reservoir has to be released. This might not add to hydropower generation as the focus will be on flood or disaster mitigation than power generation. The Central government on Thursday clarified that the 600 crore fund released for relief works in flood-hit Kerala was only the advance assistance and that additional funds would be released from the National Disaster Response Fund on assessment of damages. The advance sum was in addition to ₹562.45 crore already made available in the State Disaster Response Fund, said the Centre. In one of the largest ever rescue operations, Central forces have rescued more than 60,000 persons from marooned areas and shifted them to relief camps in Kerala. A total of 40 helicopters, 31 aircraft, 182 teams for rescue, 18 medical teams, 58 teams of the NDRF and seven companies of the Central forces were pressed into service. Pakistan Prime Minister Imran Khan offered to help flood-hit Kerala. The Pakistani leader’s comments came in the backdrop of growing criticism of the Indian government’s decision to decline foreign aid for flood relief and rehabilitation in the State. Islamabad’s statement came a day after India said it would depend on “domestic resources” for providing short and long-term help in Kerala. “In line with the existing policy, the government is committed to meeting the requirements for relief and rehabilitation through domestic efforts,” the Ministry of External Affairs spokesperson said on Wednesday. It was understood that by ‘existing policy’, the MEA was indicating at the decision taken in 2004 to avoid foreign support in the context of the deadly tsunami that affected a large number of countries in the Indian Ocean region. However, India’s decision to decline aid from abroad drew criticism from veteran diplomats and officials who said that the Central government should have been more considerate regarding the offer of support from the Gulf countries, especially from the United Arab Emirates that has offered Rs.700 crore. Former Foreign Secretary and National Security Adviser Shiv Shankar Menon made a distinction between foreign support for immediate relief and long-term rehabilitation. “the 2004 decision was not to accept foreign participation in relief but accept it for long-term rehabilitation case by case. Rescue teams in Kerala required no foreign help, but such help could be utilised for rebuilding houses, bridges, roads etc. Some diplomats have however maintained that the issue of aid for Kerala should be resolved through internal consultation at the earliest to avoid any long-term fallout.